During Nintendo’s big Switch reveal, one of the things that was left out is anything relating to the performance of the console. Nintendo said it would talk more about performance and hardware during the January reveal, but now it appears that information has been leaked ahead of that reveal. Rumors have been circulating about the Switch’s hardware, but Venturebeat has confirmed that Nintendo settled on Nvidia’s Tegra X1 processor with a GPU based on second-gen Maxwell technology. 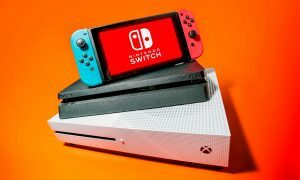 That puts the console beneath the Xbox One in terms of processing power, but given the Switch’s portability, that’s to be expected. The CUDA core count and memory bandwidth for the console are in line with what’s to be expected from a Tegra X1, but the leaked specs don’t reveal what the actual clock speeds for the CPU and GPU are, instead it borrows specs from Nvidia’s Shield Android TV box, which is based on the same processor. The Switch features two performance configurations, but the mobile console is certainly not as capable as its docked form. There’s no second GPU or additional hardware in the dock itself. Instead, the docked Switch simply allows the GPU to run much faster than when its being used as a portable device. The Switch remains consistent with its CPU power no matter its setup. The cores are clocked at 1020MHz regardless of whether the machine is in the dock or not. This helps ensure games running on the device do so consistently while switching between the dock and on the go doesn’t break performance. Clock speeds for the GPU are around 768MHz, which is lower than the 1GHz GPU found on the Shield TV. Sources state that Nintendo has down-clocked the Switch’s GPU in order to hit thermal and battery life targets. In portable mode, that equates to a 307.2MHz clock for the GPU. That’s means while undocked, the Nintendo Switch is only running 40% of the clock-speed found in the full device. The biggest question is how having two different clock speeds will affect game development. 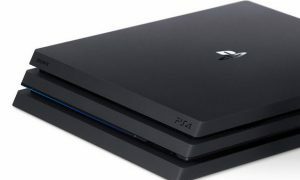 According to a developer familiar with the matter, it’s very similar to creating two different versions of the game to take advantage of the docked and undocked clock speeds, which the developer likened to creating a PS4 and PS4 Pro version of the same game. Games will need to be tested thoroughly to make sure they work in both configurations.